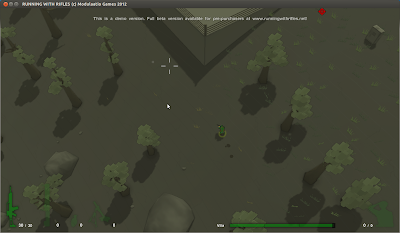 Running with Rifles is a top-down sandbox shooter that emphasizes on cooperation, squad leading and team work. The events take place on an open world battlefield divided between two factions, each trying to capture bases from the opposite side until the enemy has been wiped out from the area. The player takes the role of a private and fights along his/her comrades controlled by AI, slowly gaining influence over fellow soldiers through rank promotions from success in battles. 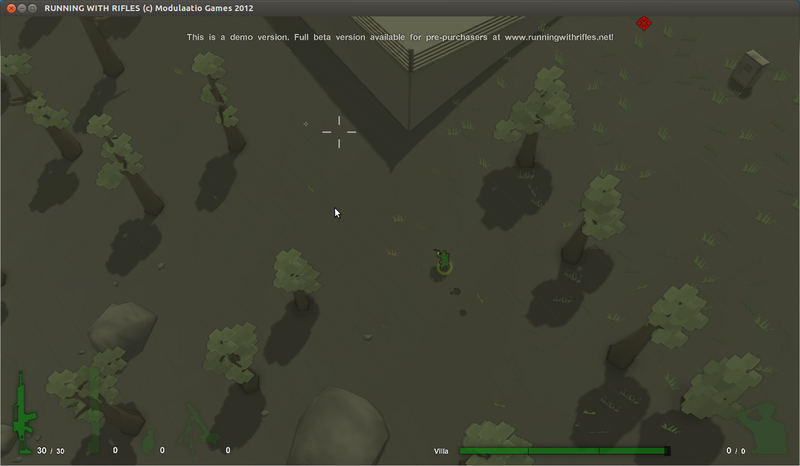 A Linux demo (online gameplay disabled) for the game has been released recently. Full version of the game will be available for purchase on Desura in a day or two.